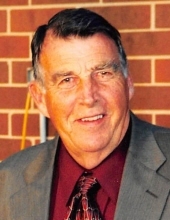 Larry Kunce, age 84 of Grinnell, died on Thursday, March 21, 2019 at his home under the care of Grinnell Regional Hospice. A funeral service with military rites will be held at 10:30 a.m. on Wednesday, March 27th at the Smith Funeral Home in Grinnell with Rev. John Epperson officiating. A luncheon will follow in the Friendship Center of the Grinnell United Methodist Church. Burial will be at Hazelwood Cemetery in Grinnell. Visitation will begin at 2:00 p.m. on Tuesday at the Smith Funeral Home in Grinnell and his family will receive friends from 4:00 p.m. until 7:00 p.m.
Memorials may be designated to Grinnell Regional Hospice or to Ahrens Park, mailed in care of the Smith Funeral Home, PO Box 368, Grinnell, Iowa 50112. Larry Dean Kunce was born the son of Max Kunce and Hazel Beal in Jefferson, Iowa. He was raised in Jefferson and graduated from Jefferson High School. Larry honorably served as a Sergeant in the United States Army and served overseas in Germany for three years. He was honorably discharged on February 25, 1960 and returned to Jefferson. He was united in marriage to Nancy Joan Muckler on September 3, 1960 at the Little Brown Church in Nashua, Iowa. The couple was blessed with two daughters, Diane and Kristin. They lived in Jefferson before moving to Grinnell in 1964, where they resided on the Muckler family farm west of Grinnell. Larry worked as a carpet layer in Marshalltown before starting his longtime career of over 38 years at Miracle Recreation in Grinnell. After working at Miracle, he worked at Brooker Plumbing and Heating in Newton. He later worked at Ahrens Park on the grounds and in the gym for several years. Larry enjoyed golfing and was blessed to have two holes in one at Oakland Acres. He also enjoyed bowling, fishing, spending time with family and friends, vacationing at Okoboji, and telling jokes. Larry is survived by his wife of 58 years, Nancy Kunce of Grinnell; two daughters, Diane (Mike) Tewes of Rhodes, Iowa, and Kris (Todd) Arendt of Altoona, Iowa; two grandchildren, Zach and Hannah Arendt; and siblings, Janell Lowmiller, Randy Kunce, Jim McGinnis, and Les McGinnis. He was preceded in death by his parents; and sister, Jackie Kunce. To send flowers or a remembrance gift to the family of Larry Kunce, please visit our Tribute Store. The family will receive friends from 4:00 p.m. until 7:00 p.m.
"Email Address" would like to share the life celebration of Larry Kunce. Click on the "link" to go to share a favorite memory or leave a condolence message for the family.